- Beautiful Natural Stone Display For Your Precious Essential Oils. -Keeps Your Oils In Sight SoThat You Will Be Sure To Be Reminded To Use Them More Often. -Hand Carved And Beautiful Enough to Be The Center Of Attention In Your Home. -Perfect For Spreading Your Oils Throughout Your Home To Have Faster Access. 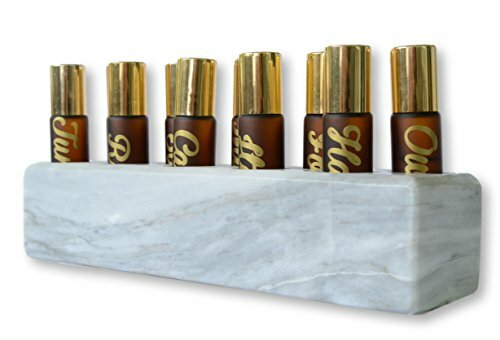 Display And Store The Oils In Every Room In Which They Are Used Most.